Orthodontics has traditionally resorted to metal dental braces in order to straighten people’s teeth. Although efficient, there is a major downside to conventional wire and bracket braces: they are visible. They show every single time a patient wearing them opens the mouth. In other words, a patient seeking to realign his or her teeth in order to have a clearer smile paradoxically has to accept that his or her current smile’s imperfections will temporarily be even more obvious due to the blatancy of the braces. Fortunately, new technologies have emerged: it is now possible for people who want their teeth’s position to be modified for cosmetic reasons to do so with an invisible treatment called Invisalign. Invisalign is an alternative to conventional orthodontics. It consists of a series of many transparent, removable teeth aligners that self-correct the patient’s teeth position until the desired smile is finally obtained. Each aligner is only worn once, for about two weeks, at a specific stage of the treatment. 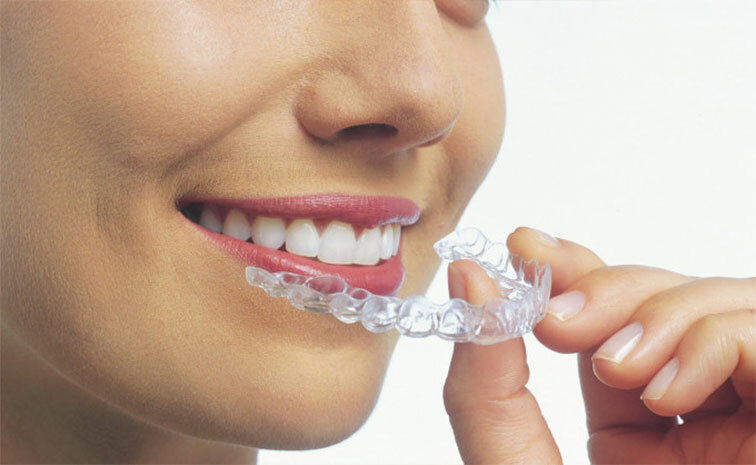 The aligners resemble thin, subtle mouthguards that the patient wears throughout the day and removes only when eating, drinking and cleaning his or her teeth. When the patient and the dentist agree to opt for Invisalign in order to modify the patient’s smile, the first step is to take 3D images of the patient’s teeth that capture the whole mouth. These images are then sent to a company that will process these images with the help of a professional software capable of precisely calculating the different steps through which the patient’s teeth will have to go in order to reach the desired smile. These computerized calculations will then allow the company to fabricate the necessary transparent aligners that will be worn during the treatment.